When I first came to CERN, I was mainly working on technical things but became increasingly involved in political issues. In 1999, I went back to Pakistan to set up a group working on different aspects of the LHC project. There I had to convince my people and my government to collaborate with CERN, which was rather difficult, since nobody associated science with Switzerland. It is known as a place for tourism, for its watches, and nice places to visit. CERN is a pan-European effort and all of its member states are European. Pakistan, with all of its contributions to LHC project, is hoping to join the ranks of India, Israel, Japan, Russia, Turkey and United States as an observer state at CERN. The Standard Model of particle physics has its limits. It can't explain several big mysteries about the universe that have their roots in the minuscule world of particles and forces. If there's one truly extraordinary concept to emerge from the past century of inquiry, it's that the cosmos we see was once smaller than an atom. This is why particle physicists talk about cosmology and cosmologists talk about particle physics: Our existence, our entire universe, emerged from things that happened at the smallest imaginable scale. The big bang theory tells us that the known universe once had no dimensions at all—no up or down, no left or right, no passage of time, and laws of physics beyond our vision. There have been many other efforts to build particle accelerators and supercolliders including SLAC (Stanford Linear Accelerator) and Fermi Collider, but none so ambitious and massive as the LHC. This discovery, if indeed confirmed, will advance human knowledge dramatically and eventually help treat diseases, improve the Internet, and open doors to travel through extra dimensions, according to the scientists associated with it. ..The long-sought particle may complete the standard model of physics by explaining why objects in our universe have mass—and in so doing, why galaxies, planets, and even humans have any right to exist. ATLAS spokesperson Fabiola Gianotti also had high praise for the LHC, a multibillion-dollar machine that had suffered numerous mishaps and setbacks in its early days. (Related: "Electrical Glitch Delays Large Hadron Collider." Few Pakistanis know what the Higgs boson is and even fewer realise that some of the earliest theoretical groundwork that led to this discovery was laid by Pakistan’s only Nobel laureate, Dr Abdus Salam. The Higgs boson is a subatomic particle whose existence was confirmed by the European Organisation for Nuclear Research (known by its French acronym, CERN) on July 4. The discovery of the particle provides the last remaining bit of empirical evidence necessary for the Standard Model of physics, which seeks to explain the existence of all forces in the universe except gravity. In the 1950s, physicists were aware of four different types of forces in the universe: gravity, electromagnetic force, the force that attracts an electron towards the nucleus of an atom (weak nuclear force), and the force that keeps the nucleus of the atom together (strong nuclear force). The Standard Model can offer an integrated explanation for the latter three of those forces. Its origins lay in the discovery in 1960 by American physicist Sheldon Glashow of the fact that the weak nuclear force and electromagnetic force are the same thing. Of the many discoveries that later solidified the Standard Model of physics was work done in 1967 by Dr Abdus Salam and American physicist Steven Weinberg in unifying the Higgs mechanism to Glashow’s theory, giving the “electroweak theory” its current form. But Dr Salam’s contributions to particle physics do not end there. Collaborating with Indian physicist Jogesh Pati, he proposed the Pati-Salam model in 1974, which further moved forward the theoretical underpinnings of the Standard Model. It was for this body of work that Salam, along with Weinberg and Glashow, was awarded the Nobel Prize for physics in 1979. Pakistan on Friday moved a step closer to becoming associate member of European Organisation for Nuclear Research (CERN), the largest particle physics laboratory in the world. According to scientists at the National Centre for Physics (NCP) which has been collaborating with CERN since 2000, the CERN Council unanimously approved in principle Pakistan’s name for the process of achieving associate membership, at a meeting on September 17. 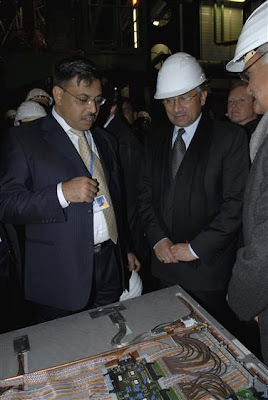 The final approval for associate membership depends upon the report of a CERN “fact-finding mission” which will visit Pakistan in February 2014, said Dr Hafeez Hoorani, who is the Director Research at NCP. The Council’s approval marks the culmination of a process that was initiated by Pakistani scientists in 2008 and has witnessed scientific lobbying, political delays and even a diplomatic campaign by the Pakistani Foreign Office. It also signals the beginning of a process that could potentially lead to Pakistan’s associate membership by the end of 2014. 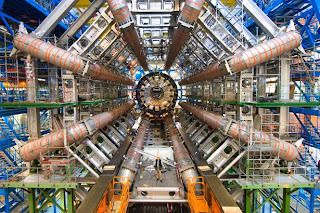 Located on the Franco-Swiss border near Geneva, Switzerland, CERN conducts some of the most complex scientific experiments of all-time in a bid to understand the structure of the universe. It is the birthplace of the World Wide Web and is home to the world’s largest particle accelerator, the Large Hadron Collider (LHC). The CERN Council consists of 20 member states — all European countries — which are represented by two members each, a scientist and a diplomat. According to NCP scientists, the diplomats were reluctant when Pakistan’s associate membership application came up this year. CERN has three associate members at present: Serbia, Israel and Ukraine. Responding to a question, Hoorani said Pakistan has also beaten regional neighbour India to the membership process. Following the approval from the Council, a four-member CERN team led by Director for Research and Computing, Sergio Bertolluci, will visit Pakistan in 2014, he said. ....Of these five centers, one is the only institute for human clinical trials in Pakistan, the other a core of computational biology and the third provides consultancy to people suffering from genetic diseases. The Hussain Ebrahim Jamal (HEJ) Research Institute of Chemistry was only a small post graduate institute before a generous donation of Rs 5 million in 1976 set the center towards the path of excellence. Latif Ebrahim Jamal’s endowment, on behalf of the Hussain Ebrahim Jamal Foundation, was the largest private funding for science in Pakistan at the time. The center houses old NMR machines of 300 megahertz to state-of-the-art Liquid Chromatograph Nuclear Magnetic Resonance (LCNMR). Currently, the center has one of the largest PhD programs in the country in the fields of natural product chemistry, plant biotechnology, computational biology, spectroscopy and other disciplines at the frontiers of science. The ground floor of the institute holds 12 state-of-the-art Nuclear Magnetic Resonance (NMR) machines that are vital in the research of the structure, reaction and other properties of various compounds and molecules, as well as an X-ray crystallography setup which uses X-rays to learn the structure of crystalline material. “We have recently finished the structure of a compound showing anti-inflammatory activity,” said Sammer Yousuf, senior research officer at the institute who was awarded the Regional Prize for Young Scientists by the Third World Academy of Sciences (TWAS) in 2011 for her work. “In the last two and a half years our institute was awarded 24 international patents,” Dr Rehman proudly adds. Since its inception, the HEJ which was inducted into the International Center for Chemical and Biological Sciences (ICCBS) in the ‘90s has produced hundreds of doctorates, thousands of papers and hundreds of international patents, and also helps over 350 industries across Pakistan. The Industrial Analytical Center at the HEJ provides testing, consultancy and research for various industries in Pakistan. The construction of a state-of-the-art center for nanotechnology is underway while the Jamil-ur-Rehman Center for Genome Research, also falling under HEJ, is almost complete. The center, named after Dr Rehman’s father who was the main donor of the institute, already houses modern gene sequencing machines. It's the birthday of Abdus Salam, who was born in 1926 in Jhang, a rural community in what is now Pakistan. Salam attended Punjab University and then Cambridge University, where he earned a PhD in 1952. In the 1960s, he and, independently, Sheldon Glashow and Steven Weinberg identified a symmetry that is shared in a class of field theories by the electromagnetic and weak nuclear forces. The symmetry implied that the two forces are really different manifestations of the same force, which Salam named electroweak. Glashow, Salam and Weinberg's unification also predicted the existence of two bosons: W, which mediates beta decay, and Z, which mediates the transfer of momentum, spin and energy in neutrino scattering. In 1973 a clear manifestation of the Z was discovered in CERN's Gargamelle bubble chamber. Six years later Glashow, Salam and Weinberg were awarded the Nobel Prize in Physics. Salam was also a founder of the International Center for Theoretical Physics in Trieste, Italy, which has supported the studies of physicists from the developing world since its founding in 1964.